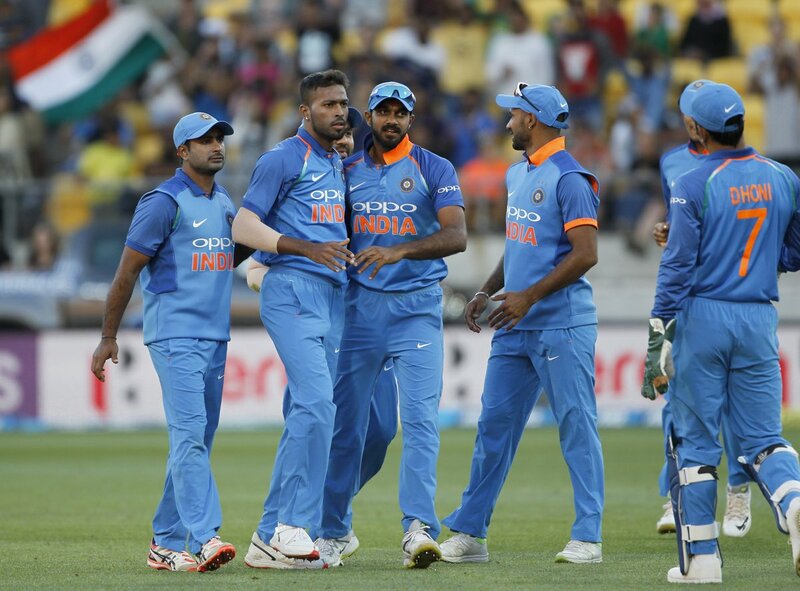 After a comfortable ODI series victory in New Zealand, India now face the hosts in a three-match T20I series which will kick-off on Wednesday in Wellington. Skipper Virat Kohli has been given much-needed rest and has already returned from tour. In the absence of Kohli, Rohit Sharma steps in as captain and will be looking to lead India to back-to-back series victories in New Zealand. Having clinched the five-match ODI series 4-1, the Indian cricket team will also look to dominate the T20I series against New Zealand. For the record, New Zealand have been India's bogey team in the 20-over format; no team has a better record against India than the Kiwis. India have played two T20Is in New Zealand previously, and they are yet to taste success. Ten years since that previous series in New Zealand, India are ranked number two in the T20I rankings, while the Kiwis are ranked sixth. The rankings are not only reflective of the consistency of the two teams, but also recent form. While India have dominated most of their opponents, the Kiwis have struggled for success. New Zealand have won only two of their last 11 T20Is – even suffering six consecutive losses which was broken with their most recent win against Sri Lanka. India on the other hand, have lost only two of their last 15 T20Is; India's success in the format in the last year includes a tournament win in Sri Lanka, bilateral series wins in South Africa, England and Ireland, apart from wins at home against the West Indies and a drawn series in Australia. New Zealand will hope to feed off the good vibes they'll feel at the Westpac Stadium in Wellington – given their impressive record there; the Kiwis have a 6-3 win-loss record at the venue and have been victors in their last four T20Is. Rohit Sharma has an impressive CV as captain in T20 cricket – having led Mumbai Indians to three IPL titles, and his record as India's T20 captain is no different; he has led India in 12 T20Is – with the team going on to win 11 of them. New Zealand may be a much more difficult team to beat in the T20I series as compared to the ODI series. With some genuine big hitters, the Black Caps are dangerous and could be lethal in the series. India on the other hand, showed exactly why they are a world-class side when they beat New Zealand on Sunday in the fifth ODI. It will be nail-biting affair on Wednesday, and it could be an exciting series with both teams not giving an inch to the other to dominate the game.